Opening: Friday, October 12th, 5 – 10 p.m.
“Watch out!” is a good motto for engaging with contemporary art. Caution is only really necessary in the rarest cases, but artworks increasingly demand a greater deal of attention from us. Especially in art that operates with technological media and reflects on the role of media in society, it is important to pay attention to the nuances of its critical distancing from the overwhelming abundance of news, opinions, misinformation, entertainment, and non-stop self-presentation that surround us on a daily basis. Everyday technology makes it alluringly easy for anyone to produce and distribute their own video recordings. More than ever, videos have become an international language of communication, a medium for forging identity and interacting. In spite of or even because of this do-it-yourself mentality, artists must counteract the pragmatism of today’s abundance of videos with an artistic language of the moving image, react to it, and create environments for conscious perception. Already since its emergence some fifty years ago, media art has entailed a critical reflection on the aesthetic, technological, economic, and socio-political conditions of our media-rich society. In this sense, “Watch out!” means that the act of watching deserves our undivided attention. 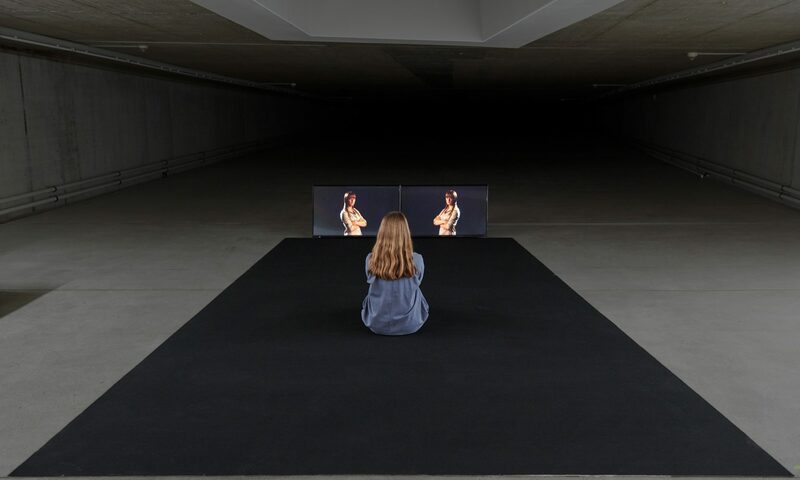 The Düsseldorf-based imai Foundation maintains an international archive and distribution program for media art, provides access to a wide range of works in this art form starting from the 1970s, and regularly adds contemporary positions to its program. For the exhibition WATCH OUT!, KIT – Kunst im Tunnel and the imai Foundation selected five audiovisual works that negotiate essential themes of contemporary media culture.